The Hanhalah at Mercaz Hatorah is comprised of dedicated talmidei chochomim drawn from renowned yeshivas, who work in partnership with the Rosh HaYeshiva to provide a curriculum compromising high Talmudic scholarship with a strong emphasis on mussar. The growth and development of each talmid’s intellect and character is the goal. This goal is achieved through the yeshiva’s demanding curriculum presented in a warm and nurturing environment by the gifted mechanchim with extraordinary middos. The Rosh HaYeshiva, Rabbi Dicker, grew up with the Belle Harbor Yeshiva and now is continuing his father’s great legacy. 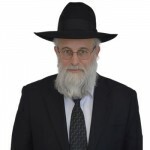 Following closely in his father’s footsteps, the founding Rosh Yeshiva R’ Levi Dicker Zt’L, the Rosh Yeshiva has taken all the endearing qualities of his father while adding his own unique touch and personal character. The Rosh Yeshiva is famous for his endless patience, kind demeanor, and his “sixth sense” which allows him to clearly see how a Talmid is feeling or what he needs. He also has a tremendous ability to make the most complicated sugyas accessible to all talmidim. With his trademark patience, he can often be found reiterating a svara many times over if that’s what it will take for a Bachur to fully grasp and appreciate the Gemara. The Rosh Yeshiva’s ahavas hatorah and complete dedication to the Bachurim and the Yeshiva creates an atmosphere at Belle Harbor that is warm and peaceful and an optimal setting for growth and hasmadas hatorah. 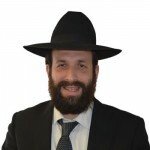 Rabbi Goldstein – Our effervescent menahel is a fast moving ball of energy but when it comes to speaking with a Talmid who needs him the world seems to stop. His deep love for each Bachur is apparent in the devoted way he advocates for them and gives each one endless amounts of personal time. Not only is the boys’ Ruchnius of paramount importance to Rabbi Goldstein, he also makes sure that they are not lacking in any gashmius. Like a father, he will happily spend his own money, give up hours of his day, and work as hard as possible to make sure every detail is perfect when it comes to his Bachurim. This doesn’t stop once the boys leave either. 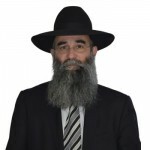 Rabbi Goldstein has a lifelong kesher with each bachur and helps tremendously with their shidduchim, parnassa, and any advice that is needed. 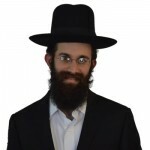 Rabbi Marcus grew up in Brooklyn and graduated from Torah Temima, Brisk, and then Lakewood. He has been with us for 12 years and his supreme dedication to instilling in his Talmidim a Cheshkas Hatorah is a trademark that stays with his students long after they’ve left these walls. Rabbi Marcus is a truly eidel and ehrliche Ben Torah whose mentchlichkeit and calm outlook leave a huge impression on everyone around him. He respects the needs of each individual Talmid and forms a kesher with them that stays for many years. Rabbi Sender grew up in Chicago and went on to Yeshivos in Philly, Telshe, Mir, and Brisk. 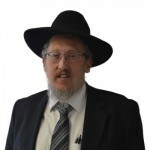 Belle Harbor has been fortunate enough to have Rabbi Sender as the 12th grade Rebbi for over 18 years and the Bachurim and hanhala continue to benefit greatly from his positive influence. 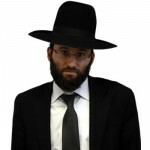 Rabbi Sender combines his tremendous middah of gevura and self-discipline with a deep sense of passion and caring. He earns the Bachurim’s respect by his trademark “Midwestern” honest and grounded approach to hashkafa and learning. Rabbi Sender’s middah of gevura will not allow him to give up when it comes to something for a bachur. He takes their growth in learning and middos very seriously while at the same time using his sharp sense of humor to get the point across in a way that the Bachurim can accept and treasure. Once a bachur crosses Rabbi Sender’s threshold they know they will have him as a Rebbi for life; as he somehow manages to find time for every Talmid, at every stage of life, and be there with advice and a listening ear. Rabbi Lapidoth is our first seder Sho’el Umaishiv. 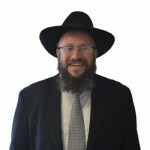 He grew up in the beautiful suburbs of New London, Connecticut and then went to Long Beach Yeshiva for High School, Kol Torah in E’Y for Beis Medrash, and then Torah V’daas in Brooklyn for his smicha. Rabbi Lapidoth received his original smicha from Rav Pam and his Yadin yadin from R’ Kahanow; he is also a Talmid Muvhak of Rav Yisroel Belsky Z’TL. 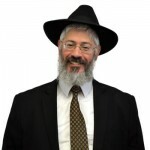 It is rare to find such a great person and huge Talmid Chachom who is so disarming and approachable like Rabbi Lapidoth. The Bachurim flock to him for advice, encouragement, and difficult kashes in learning. He takes everything in stride, dealing with each person and situation calmly and with his big friendly smile. At the Yeshiva kumzitzes or mesibos he can be seen playing on his accordion with a true ruchniusdikeit and Simchas Hachaim. Rabbi Lapidoth’s likes to fondly say that the best aspect of Mercaz Hatorah is “the special way the boys are like a family, they really take an interest in and care for each other”. He very much enjoys the strong “spirit of achdus” that abounds in the Yeshiva and the warmth and friendliness amongst all the different shiurim. When the boys leave the Yeshiva, Rabbi Lapidoth proudly declares “they are ready to take ranks in Klal Yisroel as Chashuva Bnei Torah”! Well with a Rebbi like Rabbi Lapidoth guiding them, that’s not much of a surprise! Rabbi Glucksman grew up in Far Rockaway, NY and is a graduate of Darchei Torah, Mir Yeshiva in E’Y, and our very own Mercaz Hatorah. Being an alumni allows him a special rapport with the boys and his gentle demeanor and warm personality always leave the boys feeling encouraged and uplifted. His eidelkeit and humility enables him to reach out to anyone and everyone and help them in all aspects of growth. Rabbi Glucksman especially enjoys watching boys grow and develop in torah and forming a close relationship with each one. 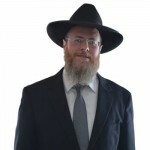 Rabbi Hiller grew up in Far Rockaway, NY and graduated from Siach Yitzchak, Scranton, and Reb Tzvi Kaplan. He learned in Kollel Knesses Yisroel in Staten Island uner Rav Yisroel Solomon. R’ Hiller’s geshmak is new and fresh every day. 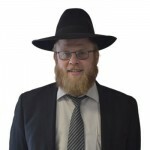 His desire for limud Hatorah and emes is contagious and the Bachurim feel lucky to have an example of a Rebbi who is so focused and passionate on growing in learning and dveikus bashem. Rabbi Hiller is the epitome of a Rebbi who truly teaches by example. His special koach is making the shiur of the Rosh Yeshiva come alive to each Talmud.